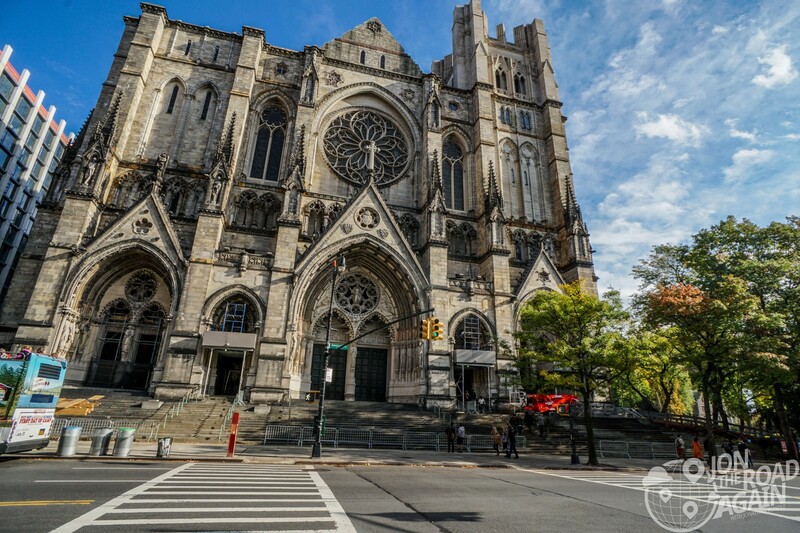 Overshadowed by New York’s other big cathedral, St. John the Divine is an impressive monument to God, worthy of the trip to Morningside Heights. Also known as St. John the Unfinished, this cathedral has been in the works since the late 1800’s. 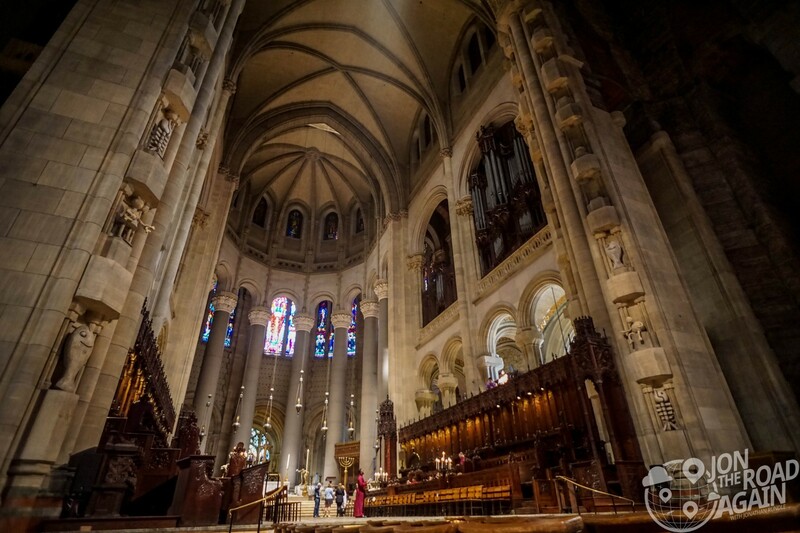 Originally designed in the Byzantine / Romanesque Revival architectural theme, the cathedral changed to a Gothic look in 1909. This flip-flop contributes to the uniqueness of the building. Hulking out between Amsterdam Avenue and Morningside Drive, at 121,000 sq. ft. the cathedral is the largest in the Angelical church (tied with Liverpool Cathedral) and ranks as the 4th largest Christian church in the world. 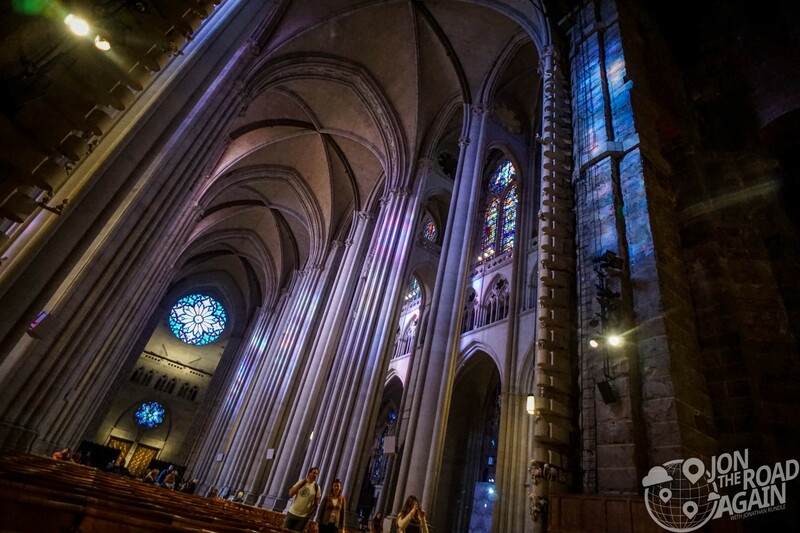 Beautiful stained glass illuminates the 124 foot high columns that lead up to the ceiling. Interesting history time! 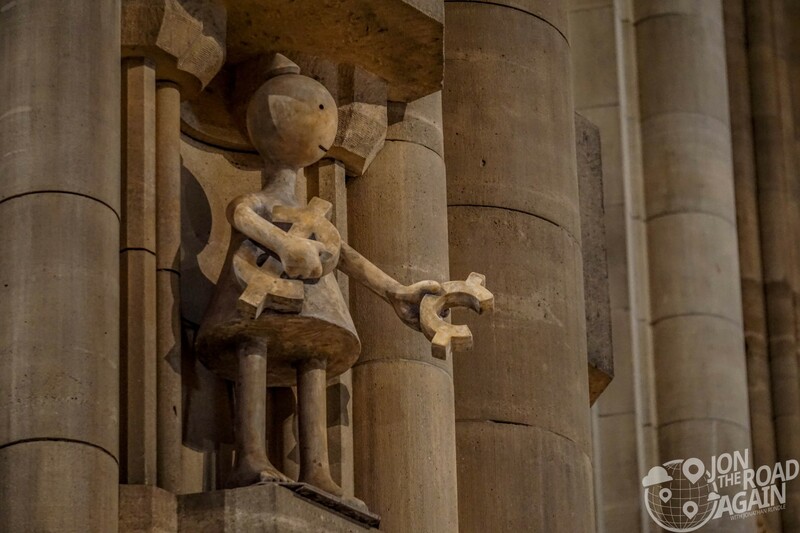 The cathedral was first consecrated on November 30th, 1941. A week later the US would be at war. In 1942, five tons of cathedral scrap were donated to the war effort. The Cathedral accepted silver altar vessels from London’s Chapel Royal for safekeeping during the war, giving rise to the urban legend that the Cathedral housed the Crown Jewels. Some amazing names are tied to this place. Work ever ongoing, Franklin D. Roosevelt led fundraising efforts to finish the cathedral in the early 1920’s. In 1956, the Rev. Dr. Martin Luther King, Jr. preaches at an ecumenical service. In 1974, Duke Ellington’s funeral is held here. In 1979, the Dalai Lama visits for the first time. In 1983, Leonard Bernstein conducts the first New Year’s Eve Concert for Peace. In 1986, Archbishop Desmond Tutu speaks at the Cathedral. In 1990, Big Bird and other Muppets pay tribute to puppeteer Jim Henson at his memorial service in the Cathedral. One of Keith Haring’s final works, a bronze altarpiece titled “The Life of Christ,” is on display here. The cathedral hosts exhibitions as well. While we were visiting, the exhibition called The Value of Food: Sustaining a Green Planet is an art exhibition hosted by the Cathedral, in keeping with its long history of engagement with issues of social justice, the environment, support for the arts, and community involvement. 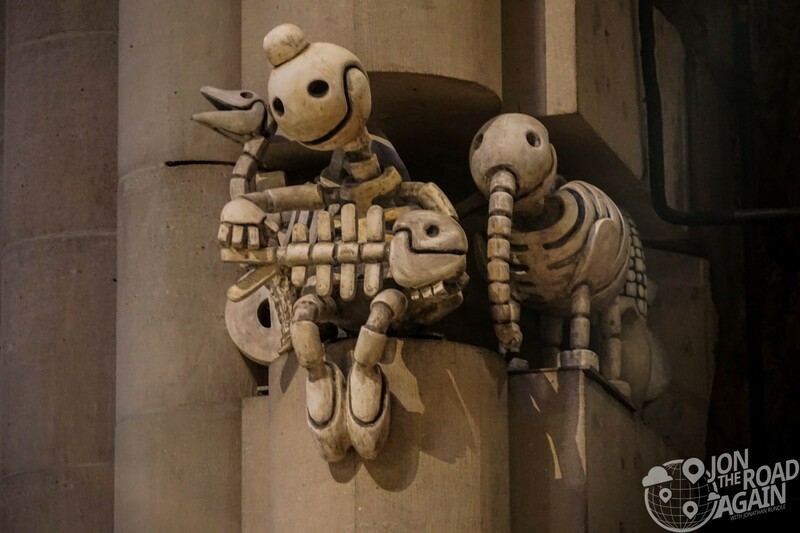 One of my favorites were sculptures by Tom Otterness which were installed in the support columns of the cathedral. 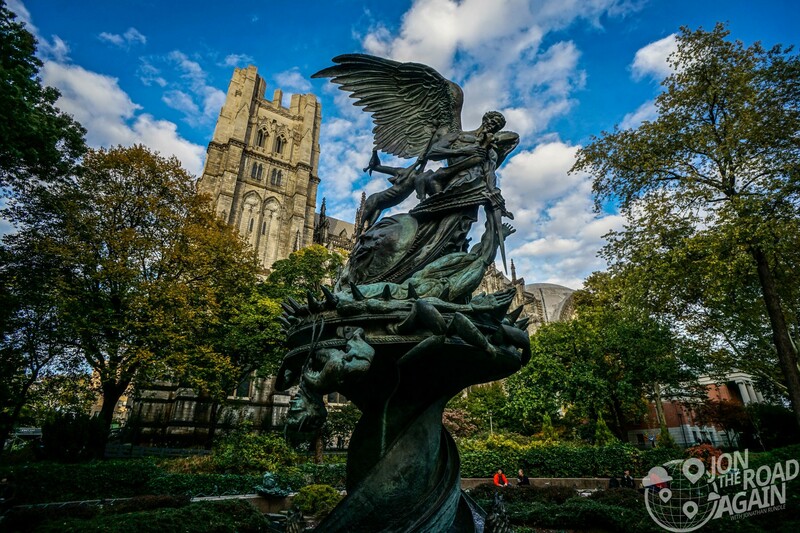 Outside and to the south, The Peace Fountain is a 40 foot-high bronze sculpture that weaves together several representations of the conflict between good and evil. 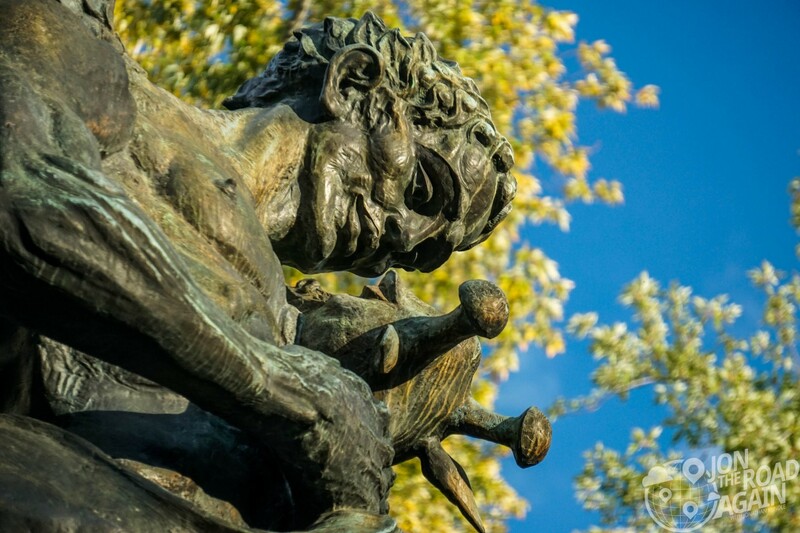 Peace Fountain celebrates the triumph of Good over Evil, and sets before us the world’s opposing forces – violence and harmony, light and darkness, life and death – which God reconciles in his peace. It was sculpted by Cathedral Artist-in-Residence Greg Wyatt to mark the 200th anniversary of the Diocese of New York in 1985. 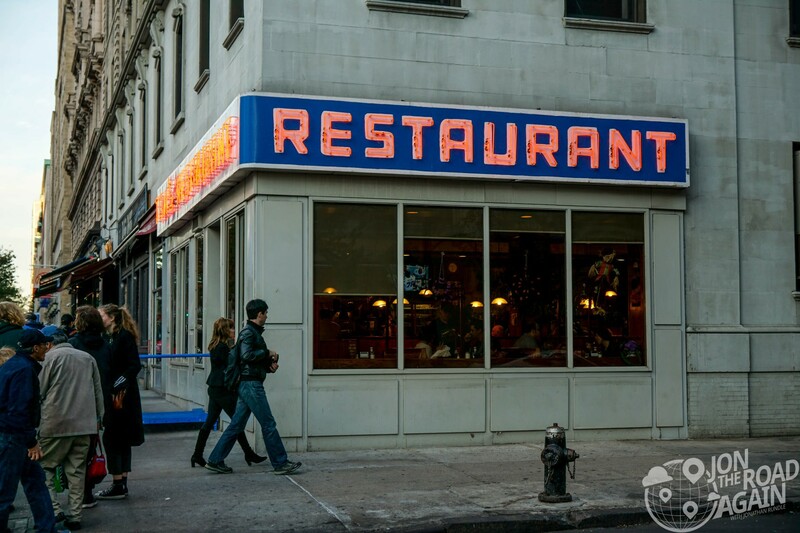 From here you might want to explore Morning Side Heights – which will take you past Tom’s Restaurant (Monk’s Diner from Seinfeld), Columbia University and finally to Grant’s Tomb.